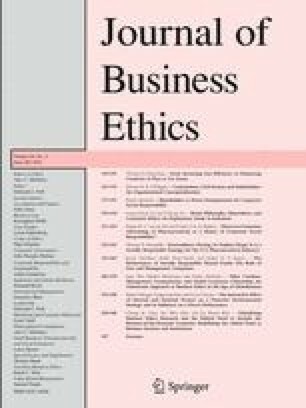 This article develops an “ordonomic” approach to business ethics in the age of globalization. Through the use of a three-tiered conceptual framework that distinguishes between the basic game of antagonistic social cooperation, the meta game of rule-setting, and the meta-meta game of rule-finding discourse, we address three questions, the answers to which we believe are crucial to fostering effective business leadership and corporate social responsibility. First, the purpose of business in society is value creation. Companies have a social mandate to organize mutually advantageous cooperation. Second, business ethics should teach the management competencies necessary to fulfill business’s societal mandate. These competencies are optimization competence in the basic game of value creation, governance competence in the meta game of (political) rule setting, and the three discourse-related skills of orientation competence, reception competence, and communication competence necessary for engaging in the meta-meta game. Third, companies can help solve global problems through global corporate citizenship if they participate as political and moral actors in rule-setting processes and rule-finding discourse aimed at laying the foundation for value creation on a global scale.